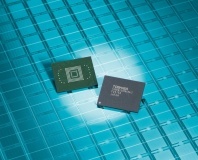 Toshiba has confirmed that it is considering spinning off its semiconductor business, with storage giant Western Digital named as a possible partner in the newly formed company. The news that Toshiba was investigating a partial sale of its semiconductor arm broke earlier this week in the Nikkei Aisan Review, which claimed to have word from unnamed sources that the company is looking to spin the division out into a separate arm and sell a 20 percent stake for between £1.4 billion and £2.12 billion as a means of raising a quick influx of cash to balance out a major loss it took on a US nuclear power push. The paper named Western Digital as the interested party, citing the two companies' existing partnership on a fabrication facility in Yokkaichi producing NAND flash storage chips. For Western Digital, the deal follows its acquisition of memory maker SanDisk with a demonstration of increased focus on solid-sate storage. It also represents an interesting twist on a 2012 deal forced by the US Federal Trade Commission in which Western Digital was forced to sell selected assets from its Hitachi acquisition to Toshiba following monopoly concerns. For its part, Toshiba has confirmed that it is investigating a potential spin-off but claims that no deal has yet been struck. 'Toshiba positions its memory business as a focus business, and is studying the possibility of splitting it into a separate company,' a company spokesperson confirmed to press in a brief statement on the matter. 'However, at this point, nothing has been decided.' Western Digital, meanwhile, remains silent on the matter.